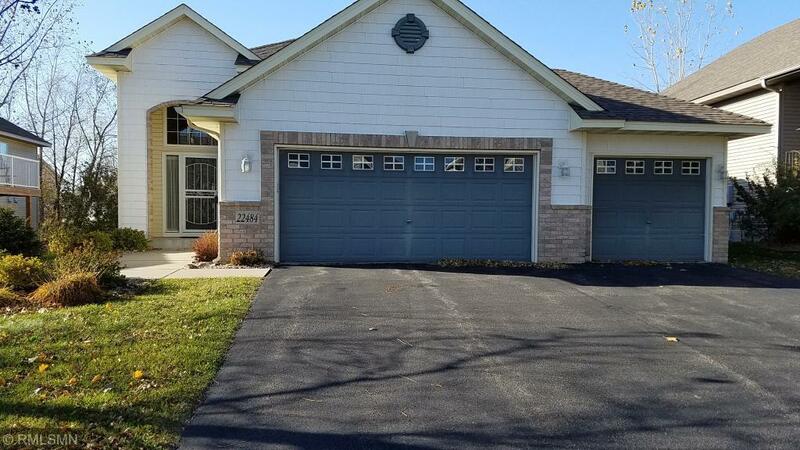 Light bright and spacious split entry detached townhome conveniently located on a quiet street and backs up to a pond with wildlife. Completely finished lower level walkout with a HUGE family room for entertaining. A 3rd bedroom, full bathroom with Whirlpool tub, laundry room & storage area complete the lower level. Extra spacious foyer, plenty of large closets and a 3 car garage all make for great storage !Property has an irrigation system. Close to everything including shopping & restaurants.